In 1990 when the Americans with Disabilities Act (ADA) was first signed into law, there wasn’t much concern about the digital world – since the World Wide Web was still in its relative infancy. Beyond the ADA, you may hear talk of 508 compliance – which I’ve written about before. It refers to section 508 of the Rehabilitation Act of 1973, which requires equal access to federally-funded programs and activities. Section 508 addresses the digital access to those resources. As of January 2018, federal agencies and contractors must meet revised standards, updated to catch up with the evolving digital world. Under the revised rules, the Web Content Accessibility Guidelines (WCAG) 2.0, as set forth by the World Wide Web Consortium (W3C) is considered the industry standard on accessibility for all public-facing (and some non-public facing, official agency business content. By not having a fully accessible website, you risk alienating any number of audience members who fall into those categories. My daughter is blind and her web experience suffers greatly. My desire for her to have an equal experience in all things in life, digital realm included, has made me an outspoken accessibility advocate. I am part of the committee that develops the WCAG in use today. 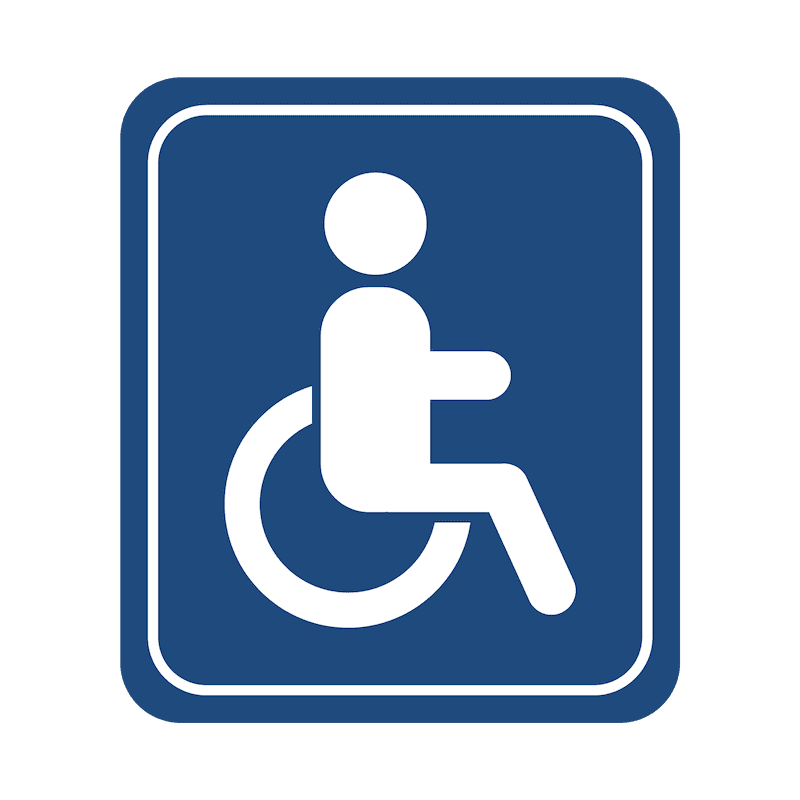 ADA compliance lawsuits are on the rise. According to a report by The Seyfarth ADA Title III News and Insights Blog, a legal blog that’s been tracking ADA website compliance lawsuits for a few years, shows that between January 2015 and August 2017, there have been at least 751 suits filed – with 432 of them coming in 2017. There’s no way to be certain all web accessibility lawsuits have been captured, so the numbers are likely higher, and we can expect them to continue to climb. These figures don’t consider demand letters that are solved without going to lawsuit or cases filed with state courts. The main reason for this is a lack of legal consensus as to which websites fall under Department of Justice and ADA jurisdiction. Websites are generally considered in this category if they are considered a “place of public accommodation” which is an extension of a physical location. But, different courts have differing interpretations of the law and what validates claims of victims of discrimination. This was the first ADA website compliance lawsuit to go to trial. The plaintiff said that 90% of the grocery chain’s website wasn’t accessible with JAWS, which is a software that reads text on the screen for the visually impaired. Lawyers argued that because it wasn’t a place of publication accommodation it couldn’t be forced to comply with the ADA. The court ruled in favor of the plaintiff, because the content on the website was tied to store physical location. Both Winn-Dixie and Blick Arts lost their cases, but for contradictory reasons, which is why the legalities surrounding the issues are so gray. The Avanti Hotel website is under fire for claims that the website cannot be used by people who have trouble seeing or hearing. This is one of many businesses that have been caught up in the recent wave of ADA websites. The case has yet to be resolved. Other organizations that have had ADA website accessibility suits brought against them include Domino’s Pizza, Inc., Harvard, and MIT Universities. As a website owner, your choice generally comes down to spending the money to ensure your website is compliant, and taking the chance that you will not be sued in court. If you are sued by someone with a disability, paying for legal representation may only be a portion of your legal fees. Depending on case outcome, you may also have to pay the plaintiff’s legal fees, and still have to spend money bringing your site to compliance. For small businesses, this could be enough to force closure, so ti makes more sense to invest in getting your site compliant with the ADA and section 508 using WCAG. Brand reputation is everything these days – and with social media making it easier for people to share both positive and negative experiences with their friends and family, you don’t want to be on the receiving end of any negative press. You may have to invest even more money into a public relations firm to do damage control if you are party to an ADA compliance lawsuit. 90% of consumers read online reviews before visiting your website, and 67.7% of purchasing decisions are affected by online reviews.